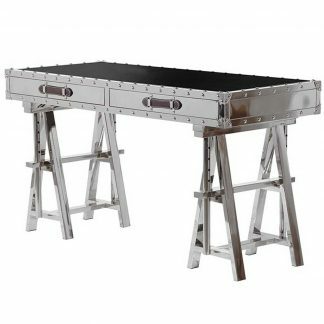 This industrial style desk has a retro/urban feel to it. 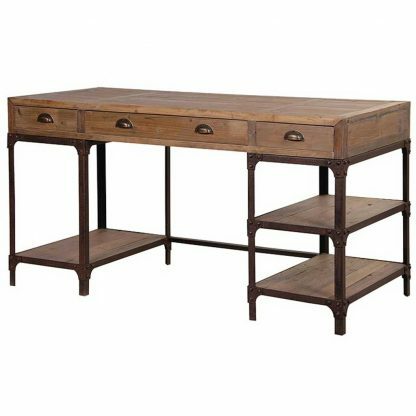 It has cast iron aged effect legs with plenty of shelf space. 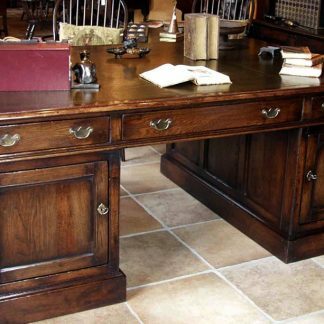 It has a timber top with three draws that have antiqued style cup handles. 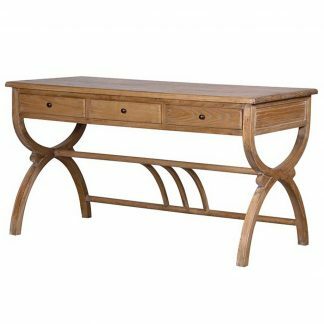 This is a superb and unique piece of furniture and it will make a magnificent addition to an urban styled office.